Tusser: women’s work ‘has never an end’. But what is it? Thomas Tusser, in his Elizabethan farming advice book, Five Hundreth Points of Good Husbandry United to as Many of Good Huswiferie (1573) noted that women’s work ‘has never an end’, yet historians of women’s work have struggled to find evidence of women’s work in the rural economy. Men appear to have outnumbered women as day labourers, and the main areas of agriculture – arable and livestock husbandry – seem to be male dominated. And yet authors such as Tusser who wrote about sixteenth century farming were sure that women’s tasks were important to the household economy and kept them endlessly busy. The solution to this conundrum surely lies in two areas, both which this project aims to investigate. One is the type of evidence historians use to document work activities – something we will return to in future blog posts. The other is how we define work: what is work exactly? Modern understandings of work are usually taken as self-evident. Work is very largely paid work or employment. Occasionally people are ‘self-employed’, but they have clearly defined income-generating activities. Activities that do not bring in income, such as child-care and housework, are rarely considered to be work in contemporary society. While they are not normally seen as leisure, they are also not seen as part of the wider economy unless someone is paid to do them for you. Applying such common-sense modern definitions to the pre-industrial rural economy is far from straightforward. In sixteenth-century England only a minority of people worked for wages. Historians therefore tend to discuss ‘making a living’ and the ‘income generation’ activities of early modern households. But put under scrutiny, these terms are also problematic. 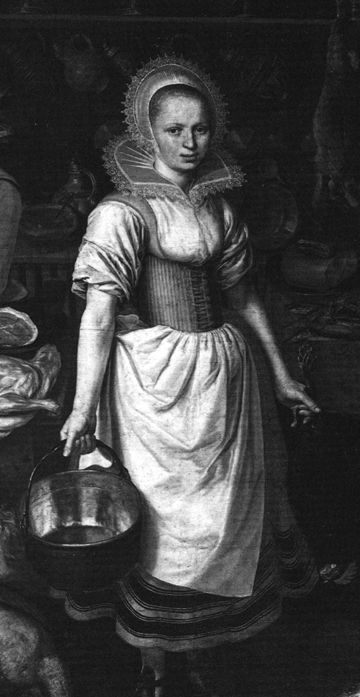 When an early modern housewife made cheese, or a husbandman grew wheat, much of which was consumed directly by the household although some was sold at market, to what extent were they engaged in income generation? What if these activities were primarily aimed at directly feeding the family, and a surplus was only sold if the necessity arose? Was it still work? What about a maidservant employed to undertake child-care and housework, but doing occasional agricultural work when needed – was that work? On the whole, historians approach these issues by trying to separate market-orientated work from ‘domestic’ work, and perhaps income-generating work from subsistence work and caring work, but these distinctions were not current in the sixteenth century. To sixteenth-century observers such as Tusser, all these activities were work necessary for the prosperity and continuance of the household. And given how slim our evidence is of who actually did what within early modern farming households (the majority of households in the period), separating out these types of activities relies heavily on guesswork. It is often said that women did the majority of ‘domestic’ work and men dominated income-generation but this is (a) an assumption and (b) raises a further question about the definition of ‘domestic’ work. Does domestic work mean the equivalent of modern child-care and housework? It seems unlikely that these tasks would have taken up the majority of most women’s time in the early modern economy. Really, given that ‘domestic’ means ‘of the home’, and that the home was the primary location of work in the early modern period, calling women’s work ‘domestic’ is not particularly helpful in terms of defining a type of work. These issues are not unique to historical societies. In 1993 the UN revised its guidelines for the standard global method of collecting national economic statistics (used to calculate GDP) in response to concerns about the gross under-recording of women’s work and work on small peasant farms. It recommended the adoption of a modified form of the ‘third party criterion’ to assess whether activities were productive and should be counted as part of national economies. The third party criterion is an idea developed by economist Margaret Reid, in her 1934 book The Economics of Household Production, in which she was concerned to account properly for work undertaken within the household. Reid argued that any activity that could be substituted with purchased goods or services should be considered ‘productive’ and part of the economy. Thus sleeping, eating and leisure would fail to qualify under the third party criterion, as they lose their purpose if undertaken by someone else, while in contrast child-care, cooking and home maintenance do qualify and are considered productive activities even if undertaken as unpaid work within one’s own home. Child-care: should be acknowledged as work. To date, no-one has tried applying the third party criterion to an analysis of the early modern economy. And contrary to what we might expect, it seems possible that caring work and housework was more monetized in the early modern period than it became in the nineteenth and twentieth centuries. Servants were commonly employed to undertake this work, with wage assessments explicitly describing the work of a skilled female servant in a farming household as being equivalent to that of the wife. Even breast-feeding was available as a monetized service. As a result, early modern householders almost certainly had a much more accurate understanding of the monetary value of child-care and housework than modern historians do. 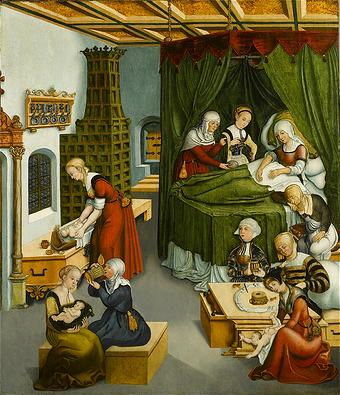 Looking at work in this way – with the tasks undertaken by family members which provided goods and services directly for the family seen as a means of saving expenditure and contributing to the household economy – is probably much closer to early modern understandings of work than the ‘common-sense’ definitions modern historians have attempted to apply. Whether or not caring work and direct-subsistence work was dominated by women rather than men, using the third party criterion offers a clearer and better justified definition of work within the typical early modern household. This is the definition our project will be working with. 5 Responses to What is Work?